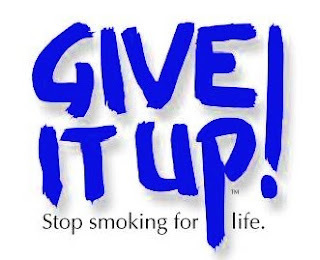 Quitting Smoking is not just a challenge for your body, it is also a challenge for your mind. When you decide to quit smoking then it becomes both a physical and emotional challenge for you. The very first thought that comes in your mind is that you won't be able to survive without smoking for a longer duration. This is a trick that your mind plays with your emotions and mostly people fall prey to it. There are various physical and emotional effects of quitting smoking which are both short-term and long term. We will discuss these physical and emotional effects in this article. During the first 48 hours after quitting smoking the person goes through a lot of emotional changes. However these emotional changes are a result of physical changes in body but a strong will power is necessary to handle those emotions. Unless you have positive attitude towards quitting and believe that quitting smoking will benefit your health, you won't be successful. If you remain successful during first 48 hours, then the period of actual stress is gone. After 48 hours you won't need to go through the emotional stress as the withdrawal symptoms will start to come down. Some common emotional quitting symptoms are given below. Anger: You might feel irritated and get angry on small issues. But keep one thing in mind that this anger is not due to issues, but due to irritation your body is feeling due to quitting. Mood Swings: Mood swings may occur. At one moment you might be happy and at the next moment you might feel sad. Boredom: If you don't engage yourself then you might feel boredom and urge to smoke. So it is better to remain busy and keep some work for you, so that you get much time to think. Craving for Cigarette: It is a common symptom, but if you keep waiting for 3 to 5 minutes then it will pass on. Depression: It is a common symptom. Think only about success not failure. Only positive thoughts and positive talk can help you during this time. Keep yourself away from those who smoke or ask them to not smoke in front of you. Frustration: Deep breathing exercises can help you in dealing with frustration. Some talk with a close one can also help in it. Make sure that the close one know that you are quitting smoking and need emotional support at that time. Avoid Loneliness: It is not a symptom, but it is better to avoid being alone. Your mind might provoke you to smoke saying that nobody is watching. Only your strong will or being with someone can help in such time. Note: You can't quit smoking unless you yourself want to quit. If you are quitting only due to pressure from doctor or spouse then you may get fail. Within 20 minutes of quitting smoking your pulse rate and blood pressure will begin to drop. Within 2 hours your pulse and blood pressure will be normal and your circulation system will begin to improve. If you had stopping feeling warmth at fingertips then you will start feeling that warmth again. Withdrawal symptoms may also begin to show at this time. These symptoms are craving for smoking, anxiety, increased appetite and sleeplessness. In chain smokers carbon-monoxide bonds with blood cells instead of oxygen which reduces the amount of oxygen in blood. After 12 hours of quitting the blood oxygen level will return to normal. In 24 hours your risk of getting a heart attack starts decreasing which is quite high in smokers. Regular smokes damages the taste buds which are nerve endings on tongue. Such nerve endings begin to regrows after 48 hours of quitting smoking. You might feel increase in your taste and smelling sense. In three days the level of nicotine will be severely depleted in your body and your body starts craving and showing some withdrawal symptoms. In 2 to 3 weeks your body starts to regenerate itself and you will feel more stamina and ability to run and exercise will be better than before. Between one and nine months your body will repair the damaged cilia in lungs which throws out the mucus from lungs and makes you less prone to infections. It increases the capacity and performance of lungs. For a few weeks you might feel constipated. So drink plenty of water and roughage to your diet. According to American Heart Association an average non smoker lives 15 years more than an average smoker. Only due to this reason WHO has labelled smoking as an early ticket to death. The choice is yours, either live a long and disease free life or live a short life being a slave of an addiction.